"I feel angry that my right to dream has been denied and it's mainly the government's fault," said Penny, a 19-year-old student demonstrating on a square in front of the parliament building -- the scene of riots last week. People attend a protest against the government's austerity measures as they stand outside the Greek Parliament in the center of Athens. The IMF's executive board on Sunday gave final approval to its three-year 30-billion-euro portion of the loan package. The government has called for consultations on Monday with all of Greece's main political movements to be hosted by President Carolos Papoulias but two far-left parties that have helped lead protests are boycotting the talks. 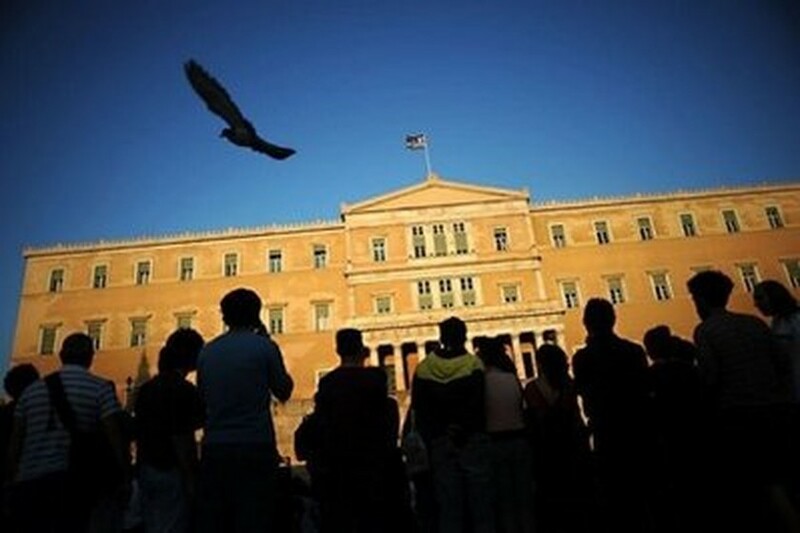 In an interview with To Vima daily issued on Sunday, Greek Finance Minister George Papaconstantinou warned of the catastrophic consequences if Greece were to default on its debts -- something the government is racing to avoid. "The banking system would stop operating and businesses and households would automatically lose access to bank funds," Papaconstantinou said. "We would enter an even deeper recession of around 10 percent, maybe more, which we would not exit for years," he added. The country's main union that represents around a million private employees has pledged to mobilise to prevent the pension reform from passing.